Just Look at the Country Views! Contact Nigel at Old Coach House on 01629733114 (mobile: 07790677518) or complete the enquiry form. Looking to holiday in the unspoilt scenery of the Peak District National Park? Whether you're looking to holiday with friends or family, the welcoming Old Coach House in the village of Aldwark near Matlock could be the ideal place to stay. Stone built, with its own private garden and idyllic setting next to fields and farmlands, this rural retreat is the ideal place to relax and unwind in a fantastic setting within the Peak District National Park. Whether you love walking, hiking, photography or visiting quaint villages and market towns, the Peak District is one of England's most popular holiday destinations and with good reason too! The kids should love it as well as within the garden is a children's play area with swings and sand pit, sure to keep younger guests entertained! This welcoming holiday cottage sleeps up to 6 plus cot, and with exposed wooden beams and feature stone walls offers plenty of charm and character. On the ground floor of the property there is a cosy lounge with double sofa bed, plus warming open fire along with a Freeview TV, plus a roomy kitchen/diner with electric hob and oven, microwave, fridge/freezer, washing machine and dryer. Upstairs are the two comfortable bedrooms; one double bedroom and one bedroom with bunk beds - the bunk beds can be converted to two single beds. An additional fold-up bed is available on request if required. There is a family bathroom with shower over bath and WC. 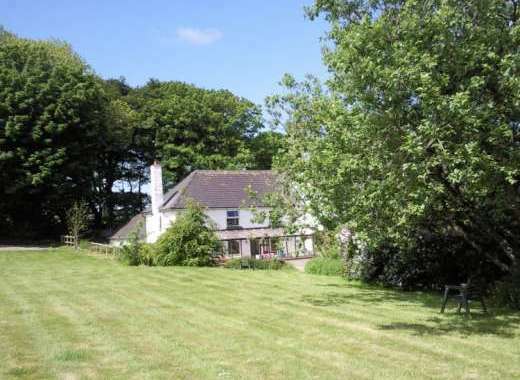 The private gardens at this property are a real treat and look out to neighbouring fields. Sit out on the outdoor furniture and soak up the fantastic views and setting. 20% Deposit to secure the Booking. Balance to be paid 28 days before the date of arrival . Paddock at the rear of the cottage, you are welcome to bring your horse or pony. 100ft above sea level with excellent views of open fields. Annual Events: Ashbourne Shrove tide football. Recommended Places to Eat Out: All nearby villages have excellent pub grub. Local Sports: Carsington Water, for water activities . Near Matlock, Wirksworth, Bakewell, Ashbourne and Buxton.